Van Gogh Table, another beautiful, versatile example of our Designer Series, this table adds texture, elegance and color to your Mexican dining room. Another beautiful, versatile example of our Designer Series, this table adds texture, elegance and color to your Mexican dining room. 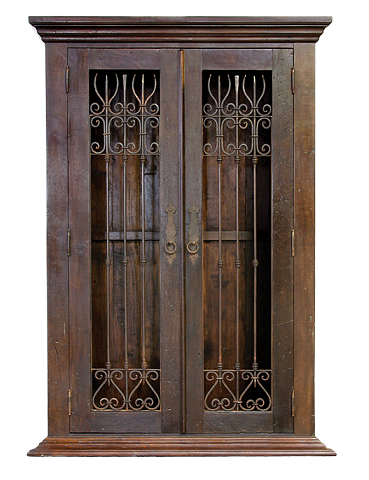 Pair it with a Designer Series or Hacienda Armoire to create a truly unforgettable dining room environment. Imagine what the soirees would have been like if Van Gogh had traveled to Mexico to meet Frida and Diego Rivera! They may have gathered around a table just as this one. Mexico rustic charm at its best. 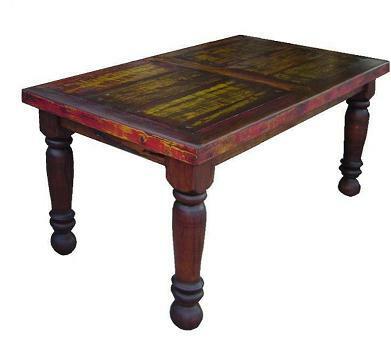 This table can be beautifully complemented by chairs in Designer Series finish or Dark Chocolate stain. Also wonderful with our barrel chairs in weathered finish. Please ask us about using reclaimed pine to bring even more character and personality to this piece. Table sits six. Comes in Designer finish as standard.